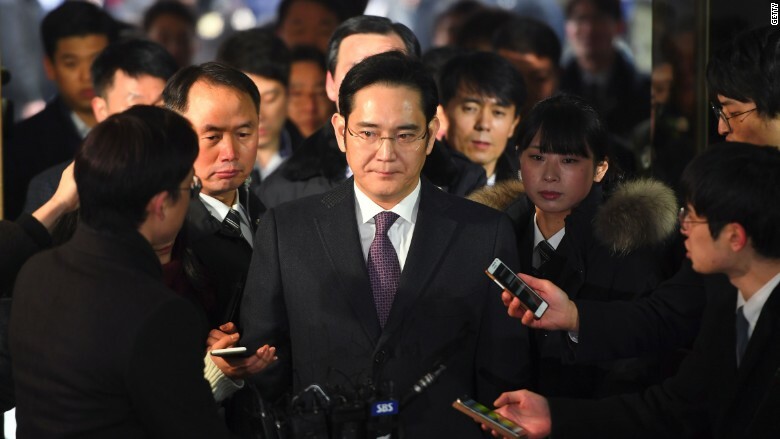 Lee, the billionaire son of Samsung's ailing chairman, was sentenced to five years in prison on Friday, well short of the 12-year prison sentence prosecutors had sought. The criminal conviction is a blow for Samsung, the world's largest smartphone maker and South Korea's biggest family conglomerate. Samsung Electronics' (SSNLF) share price fell 1.5% in Seoul after the verdict was announced on Friday. The so-called "trial of the century" has gripped South Korea for months.